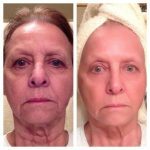 skincare regimen and also receive a FREE SAMPLE OF YOUR LIFE CHANGING SKIN CARE. Finally… The spring and summer weather is just around the corner! After the brutal, harsh winter all of us at Deja Vu Spa are ready for the gorgeous sunny days …and they will be here soon! We are all waiting for the day where we’ll be able to replace our jackets with sunglasses to go to our outdoor activities like the beaches, hiking… you name it (anything that gets us outside)! Don’t forget: The HUMIDITY will also be back in full force. Does your hair become unruly, frizzy, or hard to handle especially in the warmer months? Does it take you forever to blowdry your hair to get your desired look just to step outside and have the humidity take over? Do you want to be able to air-dry your hair, keep its beautiful, natural curl – but with no frizz? Do you want to cut the time of your blowdry (and air-dry) in half? If any of these scenarios sound like you, Roselie and the Deja Vu team have a treatment just for you! 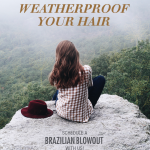 The Brazilian Blowout might be the perfect solution you have been looking for, and what better time to get it than now? 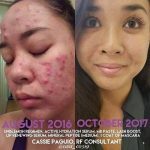 Schedule your appointment Now!